Users need data portability and seamless interoperable applications if they are to make full use of cloud-computing services and the digital economy. IT industry organizations are developing international standards that will ensure optimal portability. Government support for these voluntary, industry- led efforts is highly important. Countries must also promote global harmonization of e-commerce rules, tariffs, and relevant trade rules. This section examines the extent to which governments have encouraged industry-led processes and promoted harmonization of e-commerce rules. 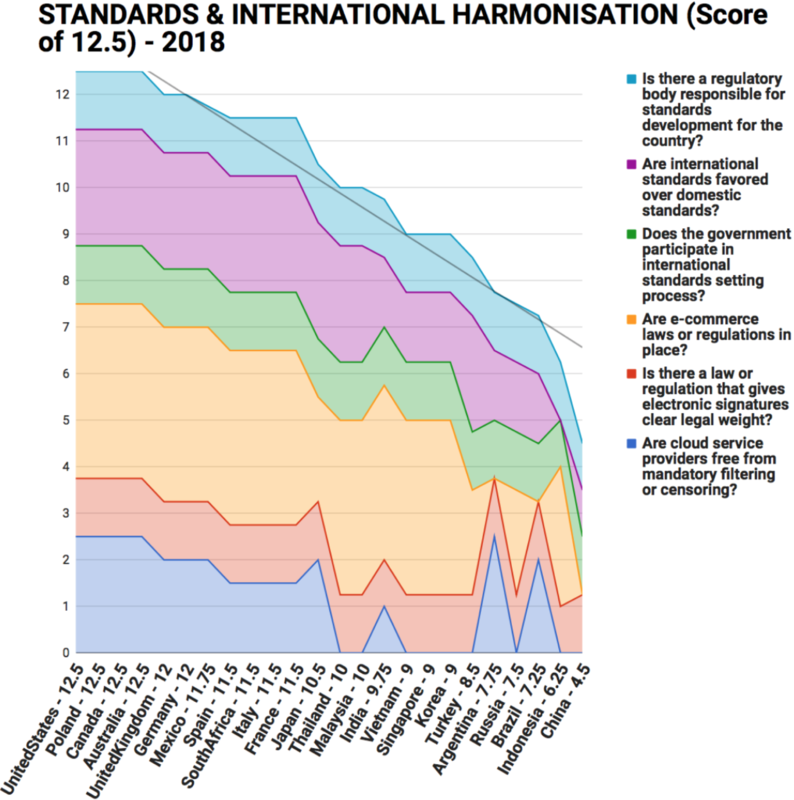 The Scorecard reveals that some countries have moved away from accepting international standards and international certifications, most notably China, India, Indonesia, Korea, and Russia. to hinder new technology products used to access cloud services in a few countries. Argentina, Brazil, and Russia all score poorly in this section.